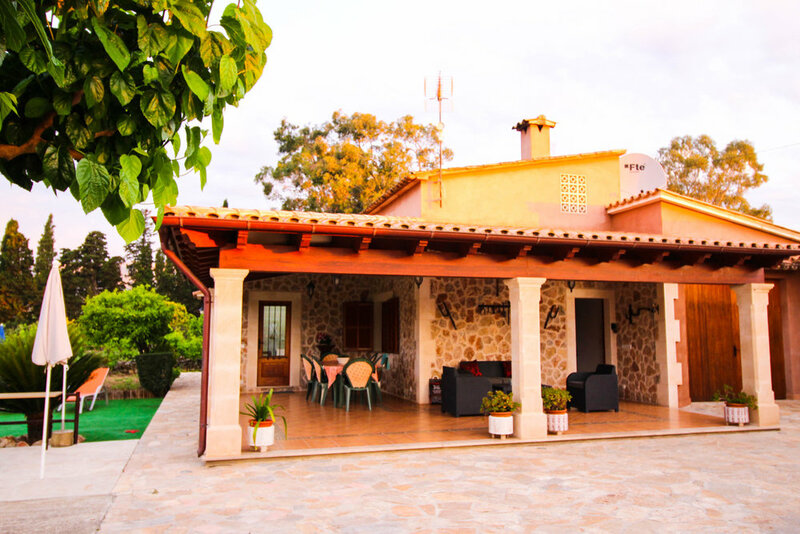 There are so many excellent, affordable vacation rentals on Mallorca. While I can no longer find the exact place in which we stayed, I recommend something similar - a large home with a yard, a pool, a bbq, table tennis - within minutes from the beach. Tranquility. We booked through VRBO, but also found Foravila Rentals to be a very good option for vacation home searching on Mallorca. There are seriously some A-M-A-Z-I-N-G options. Location, location, location: our favorite beach on Mallorca was Port Pollensa, and Hotel Llenaire is located only 1 mile from it. Size: Hotel Llenaire has only 13 rooms, so it looks and feels very private. Alex, the owner and manager, is spectacularly friendly and helpful. Although it is only 1 mile from the beach, it sits on 370 acres of countryside where the Tramuntana mountain range meets the sea. Views are spectacular, and the hotel grounds - with sheep, donkeys, chickens; and lemon, olive, orange, and fig trees - are fun to explore. We rented a car at the airport in Palma. While I think that renting a car is most definitely the way to go on Mallorca (there is no better way to explore the island), our rental experience was not stellar. We used Gold Car. Perhaps you should not. Remember to have your European and/or International Driver's License on you when renting/picking up your car. Beach-nap-gelato-beach-tapas. Repeat x 2 weeks. Yes, this was most definitely our daily formula on Mallorca - and we are not the least bit ashamed about that! Beaches. Mallorca has over 200 of them, and I would doubt that any less than 199 are stunning. So explore them! Use that rental car and drive north, east, south, and west in search of of your favorite spot. We had a few serious favorites that we frequented more than twice during our two weeks. You can read about them here. Visit the town of Sóller (north coast). This beautiful town, steeped in history and beautiful Spanish architecture, is stunning. It is also rumored to have the best gelato on the island. Kids will love taking the wooden tram from Sóller town to the beachfront pf Port Sóller (a €7 ride, 20-minute ride). Explore the town of Pollensa (northeast). This quaint, beautiful town has an impressive main square with restaurants, boutiques, and a gelato stand that the whole family will appreciate. Take in the surrounding mountains. Visit the Roman Bridge ("Pont Roma") and the "Puig de Pollensa" - the small mountain overlooking Pollensa, which is home to a monastery. Walk the walls of old town Alcúdia. This was a fantastic and fun activity when we needed a break from the beach. The history of this island is incredible. Being able to walk the old city walls is such a unique thing . . . and the kids will be thoroughly entertained by it. Old Town Alcúdia (the area inside the walls) is charming. Wander among the churches, boutiques, restaurants, and gelaterias. We found that the northeast side of the island was the absolute best base from which to explore the island. The beaches are just the ride depth and speed for kids, and you get the added beauty of the Tramuntana Mountains. If you have the luxury of staying more than a week in this paradise, mix up your lodging. I recommend one week in the countryside (perhaps 10km from a beach, because you never want to be too far from a beach on this amazing island) and one week on the beach. Ditch the buses and taxis. Get a car and explore on your own. You won't regret it. And then, get the additional car insurance. Trust me. It's worth it.